Rangers still have a long way to go, according to Alan Stubbs, a former Celtic defender. 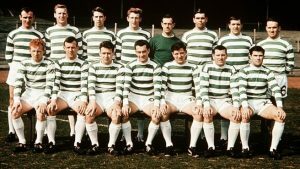 Despite being the longest rival of Celtics, the current Rangers team isn’t able to compete against Celtics – and hasn’t for a number of years now. On their latest match, the Celtic won smoothly against the Rangers with scores of 5-1 at Parkhead in the first league meeting last September. After a month, they won th e League Cup in the semi-final with a score of 1-0. After this particular defeat, Mark Wamburton, Rangers manager, claimed that the gap between the two rival teams was already closing. However, Stubbs doesn’t particularly agree with him and instead believes that, although the Rangers were able to get back last season, the Celtics are still far superior. For Stubbs, Rangers will have to wait even more before they can consider themselves to be at the same level of the Celtics again, despite the Rangers being able to get themselves back to the Scottish Premiership. It is also worth noting that Stubbs went into a clash against Wamburton for a number of times when the former was a Hibernian manager. So the sharp comments of Stubbs seem to be springing out of his personal opinion more than anyhting else. Still, he gave praise to the Ibrox boss for doing great to help the Rangers up. Mark Wamburton is doing his best to close the gap between Celtic and Rangers bit by bit. There are expectations and aspirations to consider, especially the century-long rivalry between the teams became a tradition that people today wants to see again. Whatever happens between the rivalling teams from here on out, long-time football fans will definitely love to see the two teams meet again in a Finals match.